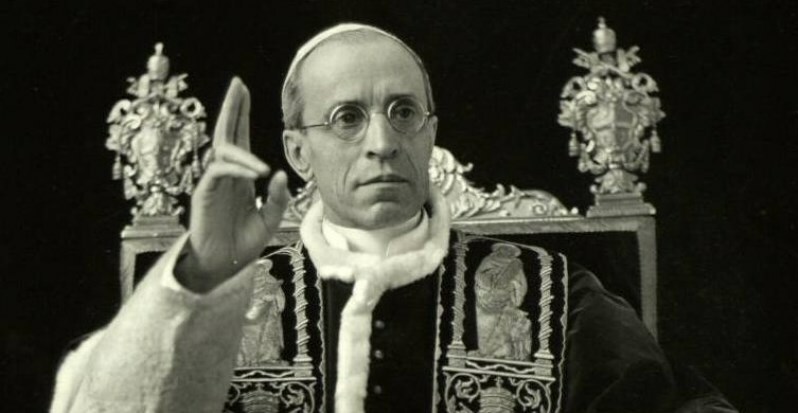 Pope Pius XII made a disturbing observation in 1946, when he stated the following: “the sin of the century is the loss of the sense of sin” (Pope Pius XII, Radio Message to the U.S. National Catechetical Congress in Boston, October 26, 1946). Few, over 50, who continue to live in this age would argue with that observation. Who among us can say they are unaware of a new attitude, which places blame on others for faults that they, themselves, commit? Nor are we blind to the prevailing attitude that says ‘if something is legal, it is also moral’ or ‘if it doesn’t hurt anyone else, it cannot be a serious sin’. Therefore, the emptying of the confessionals in our Catholic Churches is symptomatic of this new “sin,” of which our late Pope Pius XII speaks. It seems as though a tremendous flock has been led astray by the wolves that roam among us. On December 2, 1984, almost 38 years after Pope Pius XII’s statement, Pope John Paul II echoed his remarks in an ecclesial pronouncement, RECONCILIATIO ET PAENITENTIA. Within this document our Pope offers some very insightful reasons as to why and how such a dreadful situation might have come about. First, he notes that secularism, which advocates a humanism totally devoid of God, reduces our sense of sin. It diminishes in importance our true understanding of sin as an offense against God while making a vain attempt to understand sin as a mere offense against humanity. Pope John Paul II then cites the errors commonly made when evaluating the findings in the human sciences, especially in psychology and sociology. In psychology, there is great concern to avoid the feelings of guilt or the imposing of limitations to an individual’s freedom. This often leads to a refusal for individuals to ever admit a shortcoming or fault. In sociology, environmental and historical conditioning is viewed as an insurmountable influence upon the human person. Such a view reduces mans responsibility to such an extent that he may not even acknowledge his ability to perform a truly human act nor an ability to commit sin. Next he speaks of historic relativism. This may take the form of an ethical system, which relativizes the moral norm, and denies its absolute and unconditional value. In other words it is a system of thinking which denies that there can be fundamentally sinful acts independent of the circumstances surrounding them. In time, this has fostered a notion of sin that has almost reached the point of saying that, ‘although sin exists, no one knows who commits it.’ Simply, it is much like saying that morality changes with the times and cultures in which we live and therefore can’t be judged outside of that particular culture’s ethical system and history. Finally, sin is now being identified with a morbid feeling of guilt or with the mere transgression of legal norms and precepts. This notion has been propagated primarily by education, the media and within the family and has created a generation of children who no longer recognize the need to be mindful of transgressing the objective morality, nor the cognizance of whom has been offended. With the above observations, it seems that the Pope has given us valuable insights in how this ‘sin of the century’ can be stopped and set aright once again. First we must convince ourselves and teach our children that sin is always an offense against God, even when we sin against other human beings. We must take full responsibility of our actions and realize that we have freewill. We must also recognize that moral truth is objective and not subjective: it is not relative to cultures and times. Lastly, we must make efforts to have these truths taught once again in our schools and reflected in the media as well as in the family. The French poet, Victor Hugo, once stated that, “Conscience is God present in man.” Let us then have a good conscience and make use of God’s Sacrament of Reconciliation. And intent on getting everyone else to abandon Truth.